I make some test shots with my Pentax FA 50mm f/1.4 and Pentax A 50mm f/2.8 1:2 Macro using the 2x Macro Teleplus adapter from Kenko. The results are not as dramatic as some posting I see from others on actual macro lens such as Tamron MF 90mm f/2.8, but the adapter works reasonably good in converting a normal fast prime to better closeup and 1:1 macro. And I find the Tele in 2x not as shabby as I originally thought. My impressions with the Kenko 2x Macro Teleplus adapter with FA 50 f/1.4 is positive though I find vignetting and severe CA in wide open apertures when I used it with FA 50 f/1.4. But overall, the adapter brings my beloved 50mm prime up a notch for fun. All six images are shot with the adapter and FA 50 f/1.4 in iso 100/200/400 with aperture ranging from 7.1 to 11. It is very windy in harsh lighting around 3 when I took a coffee break with no coffee. Adapter has markings with white and green colors. On one end is the 1:1 magnification and the other end marks 0.45m and infinity. Using trap focus, I aim at object in about half a feet and moving in and out from the focal point to obtain focus. A tripod and a rail system will help on the focusing part. My adapter has all the electrical contacts for metering and trap focus. Once mounted with FA 50 f/1.4, I can use Av mode without problems. 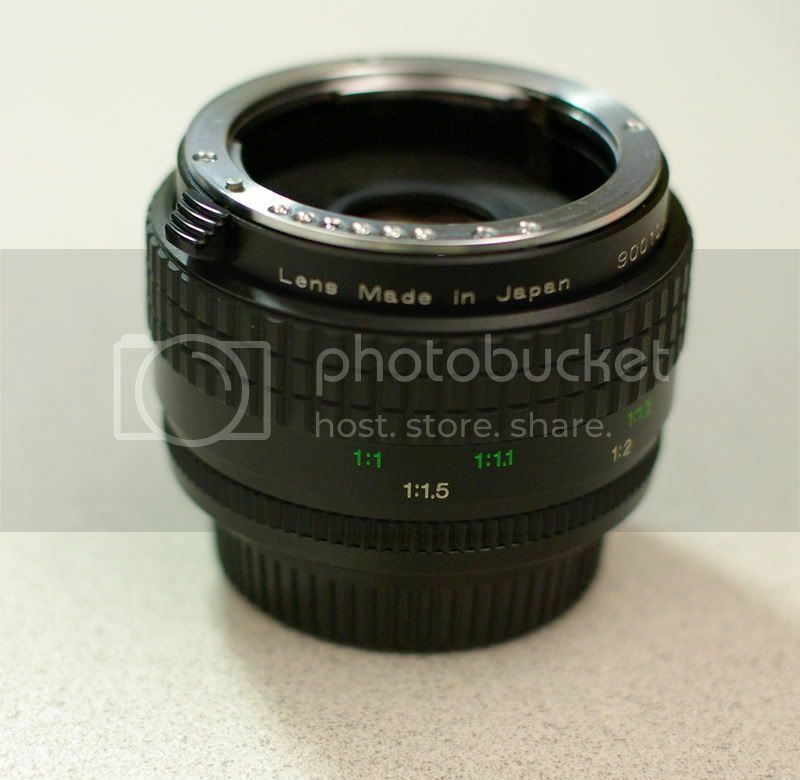 Recommended as adapter to get a decent 50mm to 1:1 macro. The 2x tele comes as an added charm but mainly the Macro 1:1 is the key for the adapter. 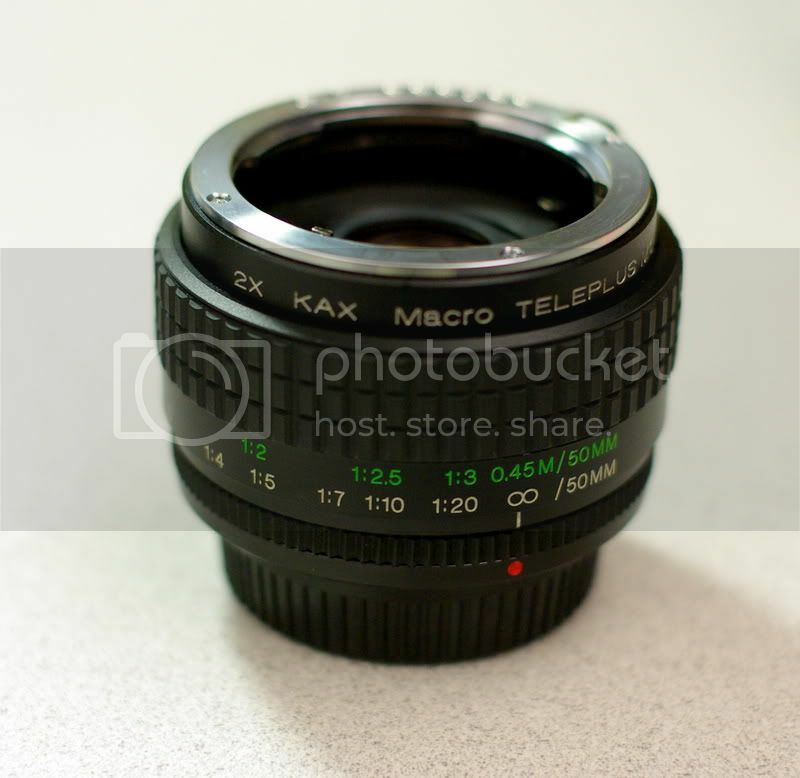 It works in turning 50mm to a 1:1 macro and with a turn, the 50mm acts as a 100mm.